The MOG TREE System: an accelerated language learning system for postgraduate Engineering Students. ALISON-JANE HUNTER: PhD Candidate, Schools of Education and Mechanical Engineering. This research examines the efficacy of a tri-partite solution of Language Trees, a Corpus and a grammar website designed specifically for Engineering Higher Degree by Research Students (EHDRS). Every element of the system has been engineered and optimised for EHDRS, enabling a set of individualised pathways to be created to ameliorate issues with accurate, nuanced, academic writing. The environment of each tool is designed to be welcoming, engineering-orientated, elegant and easy to explore, both visually and technically. Grammar Workshops co-exist, containing tests and exercises designed to teach optimised functionality and ownership of the MOG TREE System. The MOG solution is framed by a desire to reduce anxiety about writing; helping students overcome imposter syndrome by offering mastery of individual roadblocks, offering relevant teaching at relevant times, and enabling the students to take ownership of their learning by gaining a metalanguage in which to engage with linguistic detail for Engineering. It is designed to support both the academic writing of EHDRS and their emotional well-being, notably those who are non native speakers of English, who are many. Alison-Jane is currently a PhD student in the Schools of Education and Mechanical Engineering. She has a B.A. (Hons) from the University of Birmingham, an M.Ed from Flinders University and several graduate certificates : PGCE (Oxford), COGE (UNSW), Multiliteracies Pedagogies (Deakin), Change Management (Deakin). 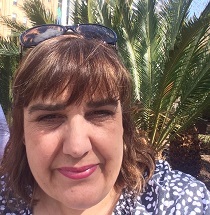 After many years of teaching in diverse secondary schools in the UK and in Australia, she has returned to her academic roots as an applied linguist, researching and creating solutions to teaching and learning nuanced, accurate, academic English for international HDRs in Engineering. This entry was posted in Alumni, Connect, Research, Research Seminars, Uncategorized and tagged excellence in teaching, high academic performance, lecture, school of education. Bookmark the permalink.